If you're still giving these out I'd like one. I am a shooter but never liked an automatic pistol or rifle. I have several Model 70 Winchesters, .458 Win. Mag. , .300 Win. Mag., .325 WSM, .300 WSM, .270 WSM, .25 WSSM, Two .223 WSSM, .22 Win. 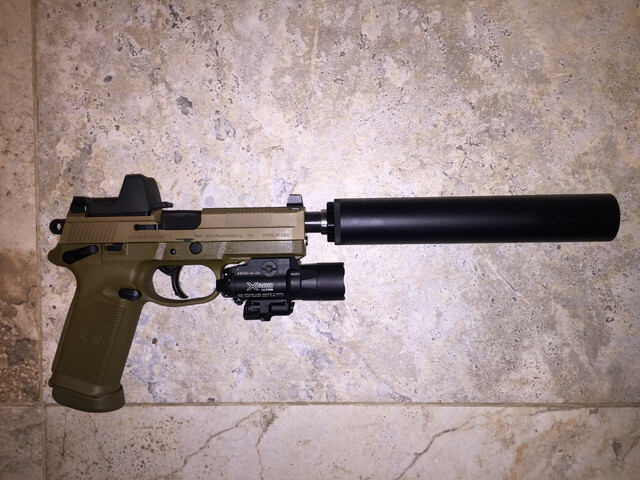 pump, .22 Win. 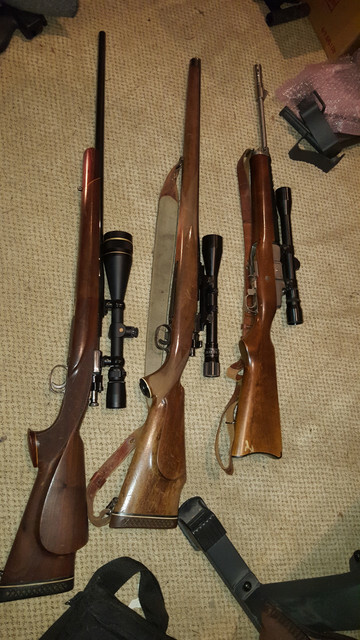 single shot, Marlin .22 auto rifle, .17 HMR, .410 Iver Johnson, 12 ga. Mossburg pump, and the only had gun is a SW .41 mag.. I also have a Hawkin .50 cap and ball, .50 Win. muzzle loader and a CVA .50 Cal. muzzle loader. Have two big gun safes loaded with ammo also. Some of the ammo is over 50 years old still shoots fine. There are probably some I forgot. Don't shoot like I use to built the garage where my range was so have nowhere to go shoot. I did shoot two deer this year. When I go to Africa I work as a professional hunting guide there. One trip I spent over 4 months walking in the bush in Africa. I cull animals and meat hunt and guide the locals. They said they wanted to hire me as a sniper when they have their revolution. I said NO. I am not that good they just have junk rifles there. 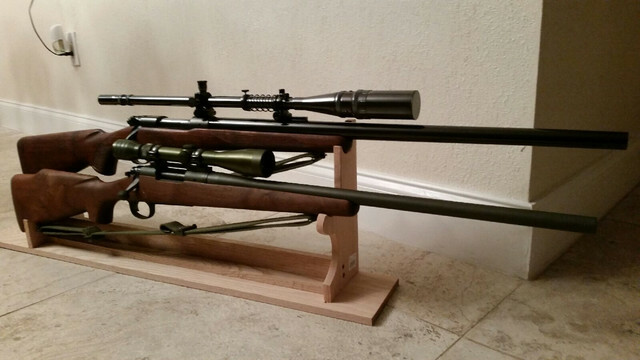 You can only have one rifle of any caliber in South Africa. Takes forever to get a permit. So if you think I qualify for being a shooter put me down. I guess I might as well get in on it, too. 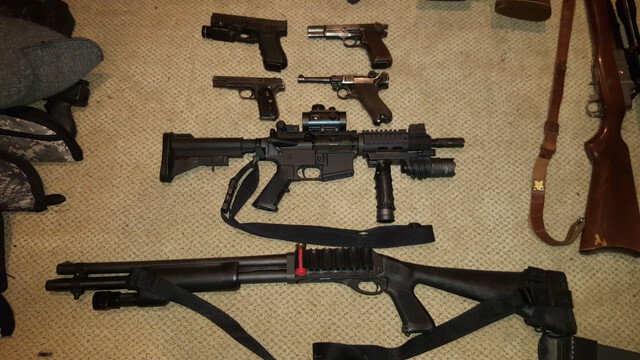 Not as impressive as David's aresenal, but a few shotguns, rifles, and hand guns. Third generation gun nut. Here are some of mine. My trusty service Glock .40, 1944 browing belgium biilt, 1942 luger. 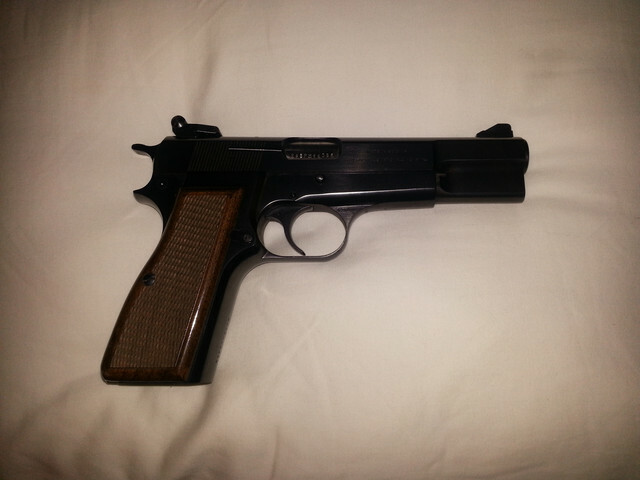 ( both have german luftwaffe stampings) 1938 "gangster" pancake handgun. My colt .223 tactical rifle, my remington 12 gauge tactical shotgun. 20 year rangemaster. Subject matter expert in hangun and rifle. Qualified expert marksman in handgun, shotgun and rifle for 21 years. And few " reach out" weapons for hunting.weapons have been my career for over 20 years including 10 years with the tactical unit. Yes, i have wayyy more wespons than mustangs. Wish it was the other way around at this point. Hey guys any chance I could get one? Just a sample of many I own. I am an avid shooter as well, do I need to post pics of my weapons that I have to receive the badge? Please let me know and if necessary, I will post a few pics. Thank you.